Amber Rose and ex-husband Wiz Khalifa shocked everyone on the red carpet Saturday night when they arrived together at Clive Davis's pre-Grammy party hand and hand, while locking lips for the photographers. 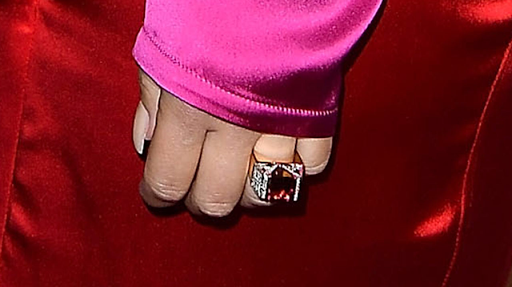 The couple did not hide their PDA, as well as the new gigantic diamond ring Rose wore on her finger! In July of 2013 the two got married but Rose filed for divorce in September of 2014. Together they have a 4 year old son named Sebastian. Since their split Rose and Khalifa have tried dating other people but it's safe to say they will be spending Valentine's Day together!